Every professional who wants her website to grow rapidly, needs to track the visitors activities, trends and other indicators on her site. Log2Stats provides you with all required tools for these tasks including detailed visitors report breakdowns, accurate graphs, advanced filters, interactive navigation and much more. Log2Stats allows you to quickly generate site stats using different filters and track your websites progress to make intelligent marketing decisions. Our program will automatically download and convert your log files into a database so you don't need to process the files more then once. Log2Stats gives you an opportunity to focus on analysing your web site stats rather than doing tasks like downloading and processing the log files. Our innovative software features very fast log parsing engine, which utilizes new multi-core processors and large amounts of memory. Processed log files are kept in the proprietary database, which is specially designed for handling statistics from the log files. BitStrike Software developed several editions of Log2Stats, suitable for most companies and individuals. Choose between different editions by selecting required features, and get maximum functionality for optimal price. Prices for Log2Stats starts from US$ 100. 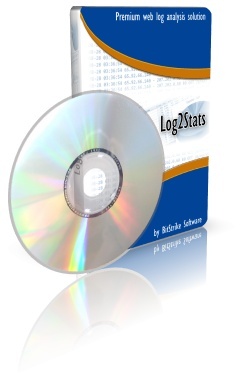 Log2Stats analyses your web log files faster and easier. Be more productive using our premium web log analysis and site stats solution.